What if I’m On Medication that Causes Weight Gain? Paleo might be great for the rest of us, but what if you’re on a type of medication that causes weight gain as a side effect? Medicine isn’t perfect: sometimes the medication that causes weight gain is also the medication that saves your life. Obviously, no reasonable person is going to quit that medication just because it comes with an extra 10 pounds. This isn’t going to be an article about getting off medications; the assumption here is that if you’re taking one of the pills discussed below, you have a good reason for staying on it. But with that assumed, are there any dietary tweaks that can help address whatever it is about this particular pill that causes weight gain? There is actually some evidence suggesting dietary strategies for medication-induced weight gain. And actually, some common scapegoats might actually not cause it at all! 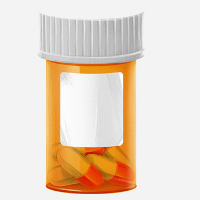 What Medications Cause Weight Gain and Why? Many women believe that hormonal birth control causes weight gain, but if you actually look at the evidence, most studies show that there’s nothing to fear. There are basically two types of hormonal contraception: combined methods (which use both estrogens and progestins) and progestin-only methods (only progestins, with no estrogens). The four trials with a placebo or no intervention group did not find evidence supporting a causal association between combination contraceptives and weight change. We found limited evidence of weight gain when using POCs [Progestin-only contraceptives]. Mean gain was less than 2 kg for most studies up to 12 months. Weight change for the POC group generally did not differ significantly from that of the comparison group using another contraceptive. There was no real evidence in that review for progestin-only pills causing weight gain; most of the problems were with the contraceptive shot (DMPA) and primarily for teenagers who were overweight or obese to start out with. Most women gain a few pounds every year regardless of contraception use. Hormonal contraceptives don’t cause that and going off them doesn’t fix it. It’s theoretically possible that a particular woman might have some individual hormonal weirdness that causes her to gain weight on the pill, but for most women, it’s not likely. So there aren’t any special dietary precautions necessary because there just isn’t a problem to start with! This is not about the steroids that really intense athletes and bodybuilders illegally take to gain muscle (that’s a whole different kettle of fish). This is about the steroids that people with some inflammatory or immune diseases get completely above the table from their doctor to treat an actual medical condition, like an autoimmune disease or cancer. These steroids basically suppress the immune system and reduce inflammation. That can be helpful for treating the disease, but steroids can also cause high blood sugar, reduce the absorption of calcium, cause weight and fat gain (i.e. not just water weight), increase appetite, and break down muscle mass. Several studies have documented weight gain in people taking steroids. This study found that children who got glucocorticoids (a class of steroid hormones) for rheumatic diseases (like juvenile arthritis) gained significant amounts of weight, with weight gain peaking 4 months after they started therapy. Half of them hadn’t lost the weight after a year and a half. This study found something similar in teenagers (age 11-18) with lupus. Before starting corticosteroids, 10% of the teenagers were overweight. After steroids, 20% were overweight and 10% were obese. The reviewers concluded that modern antidepressants like SSRIs and SNRIs generally don’t cause weight gain. Tricyclic antidepressants and monoamine oxidase inhibitors (MAOIs) are more likely to cause weight gain. The average gain for antidepressants is 2.2-6.6 pounds, and it only occurs for 10-20% of people. The weight gain probably comes from an increased appetite – the changes that the medications make in the brain also increase appetite as a side effect. That fits with the result of this study, which found that people taking antidepressants ate more than people who didn’t. On the other hand, depression is also associated with weight gain, and some people in the review lost weight on antidepressants. A few studies have looked at diet (with or without exercise) approaches to weight loss on antidepressants. Some found no effect; others found that antidepressants made it harder to lose weight, but the people on antidepressants were also worse at sticking to the diet. So maybe if they stuck to the diet as well as the other subjects, they would have had the same results. Weight gain on antipsychotic medication is much more common, and the gains are bigger, although the effect varies depending on the particular drug. Several antipsychotics reduce insulin sensitivity, and metformin (which is usually given for diabetes) works to prevent antipsychotic-associated weight gain. Antipsychotics may also have effects on the gut flora. If you want to get a little more technical, this post from Body Recomposition has a great and very readable overview of psychiatric drugs and weight gain. A basic Paleo template is a good place to start for balancing hunger signals and energy needs. Eat for appetite control. That means big piles of vegetables, lots of healthy fats, and enough protein at every meal. Get enough sleep. It has a huge effect on your appetite hormones. Melatonin might be a distant second-best. Because of the way these medicines can mess around with blood sugar and insulin, it might be easier to maintain your weight and control hunger if you reduce carbohydrates. If you’re eating carb-dense foods, eat them with vinegar and/or cinnamon. Consider a chromium supplement. In one study, researchers actually reversed steroid-induced diabetes with chromium (600 mcg/day of chromium picolinate, if you want to get specific). Cook with coconut oil for the metabolic benefits of the MCTs. Get outside in the sun, or at least consider a Vitamin D supplement (but the sun may be better). Exercise is one of the best ways to control appetite, improve blood sugar control, and (if you do it outside) get some sunshine all at the same time! Nobody is claiming that these tweaks will completely prevent drug-associated weight gain. But if you look at the evidence about why these drugs cause weight gain, it seems reasonable that regulating appetite and focusing on carb tolerance might help prevent it. 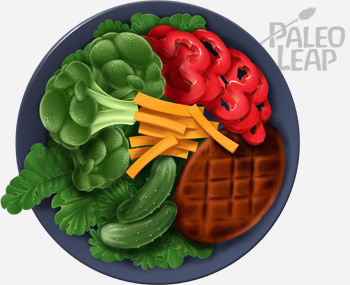 Since it’s not always an option to go off the medicine causing the weight gain, tweaking a basic Paleo diet to address appetite and blood sugar issues can at least help.